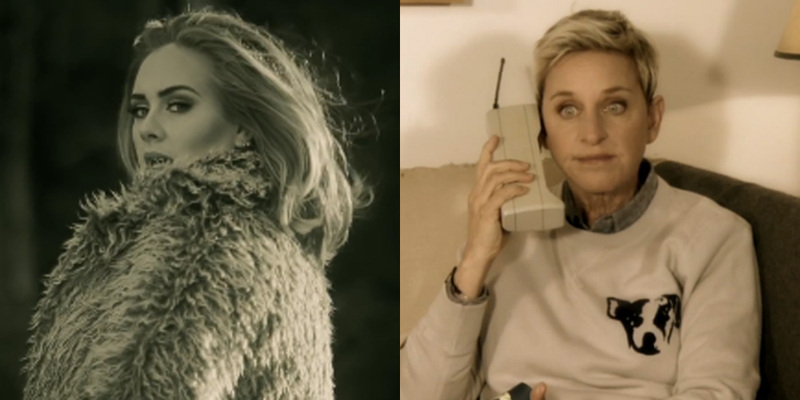 Ellen DeGeneres and Adele go way back. After all, the TV host parodied the singer's "Hello" music video in a delightfully funny romp just a few months ago. Now the two are back at it, teaming up to prank the unsuspecting workers of a Jamba Juice. Ellen is telling Adele what she should say, and the Brit is more than up for the challenge. When she takes a chunk of wheatgrass and throws it in her mouth, it's gold, Jerry. GOLD!